Learn more about the new Honda Fit! The Fit has a 117-hp, 1.5-liter, 16-valve, i-VTEC® 4-cylinder Engine for quicker acceleration. 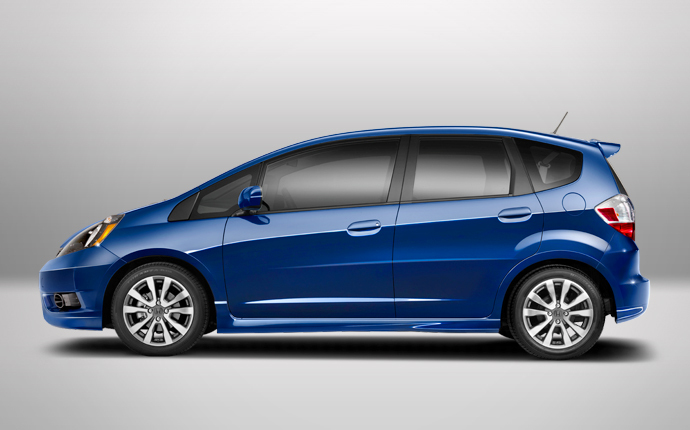 And with dynamic i-VTEC technology, the Fit offers the perfect balance of pep and efficiency. A performance-oriented suspension makes it quick on the draw with shockingly sporty handling. The steering wheel-mounted paddle shifters on the available automatic transmission Fit Sport model provides drivers with an engaging on-road experience. The Fit Sport has fast looks and slick style. From the rear roofline spoiler to its aero-zealous face and fog lights, this swift metro acrobat is a certified extrovert. The Fit Sport also rocks machine-finished, 16-inch alloy wheels cementing its status in the world of high style. 27 city/33 highway/29 combined mpg rating for Fit and Fit Sport with manual transmission. 28 city/35 highway/31 combined mpg rating for Fit with automatic transmission. 27 city/33 highway/30 combined mpg rating for Fit Sport with automatic transmission. Based on 2013 EPA mileage ratings. Use for comparison purposes only. Your actual mileage will vary depending on how you drive and maintain your vehicle.